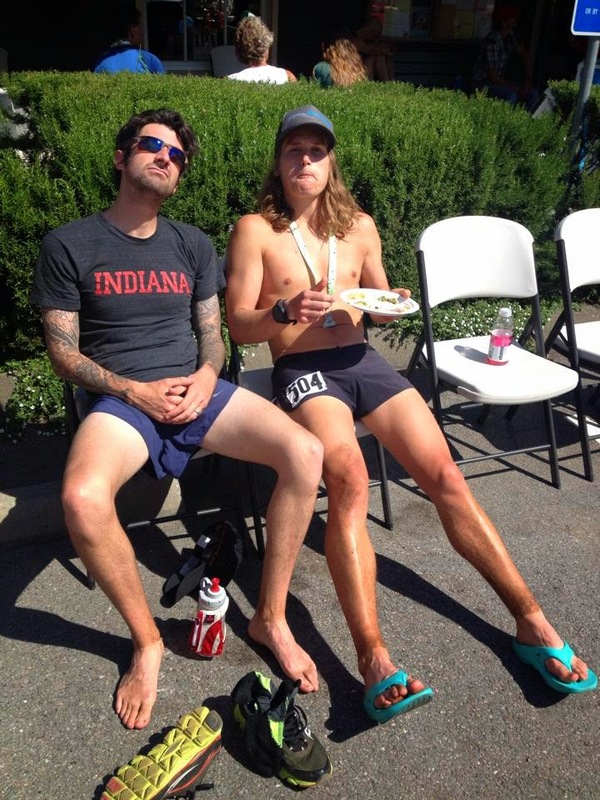 Shoes'n'Brews: Miwok 100k - Pacing; it really works! 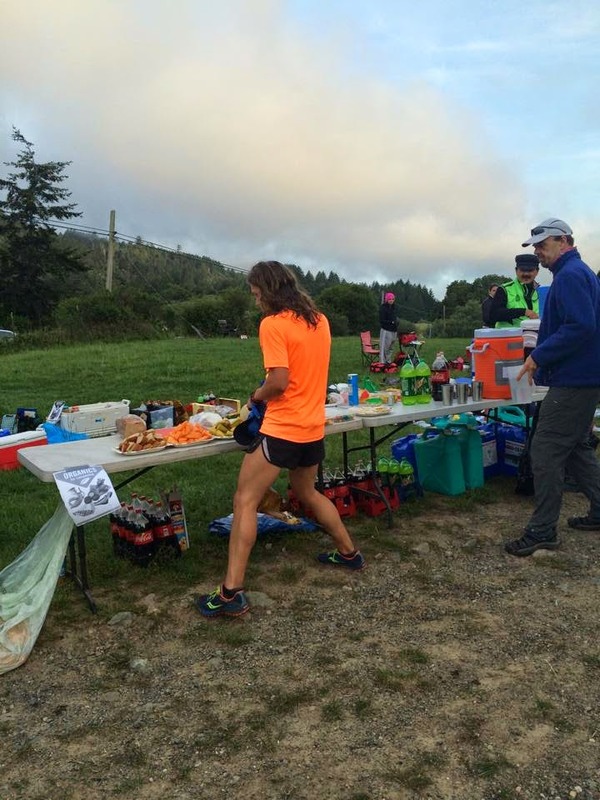 After a DNF at mile 25 of last year's abbreviated Miwok 60k, this year's race was all about redemption. Before last Saturday I had not raced a 100k, so the pacing concerned me a bit; I knew it'd be slower than my 50 mile pace and faster than 100 mile pace, but was unsure on where I'd settle between those two. Looking at past results, I set an arbitrary goal of finishing in under 10 hours with the intent of running a relaxed, sustainable race. I've struggled with pacing since my first ultra four years ago, which ruined my race at the Way Too Cool 50k last March. Granted, I know I'm not fast enough to have competed for top 3 at WTC, or even top 5, but I thought I could have at least cracked top 10. Oh well. Live and learn to run another day! My girlfriend (who also happens to be the best crew I could hope for) and I left San Jose around 7:15pm Friday night for our hotel in Corte Madera, about 30 minutes outside of Stinson Beach. I slammed down a burrito in the car, and we arrived just before 9pm...plenty of time to sleep before our 3am alarm would go off. Ha! Apparently, I was more tired than I thought and fell asleep quickly, but awoke feeling surprisingly refreshed. We toasted a few waffles, downed some fresh beet juice, and made our way along the winding coast to Stinson Beach. With still an hour to spare, I checked in and beelined for the bathrooms, which would soon have a ridiculously long wait. 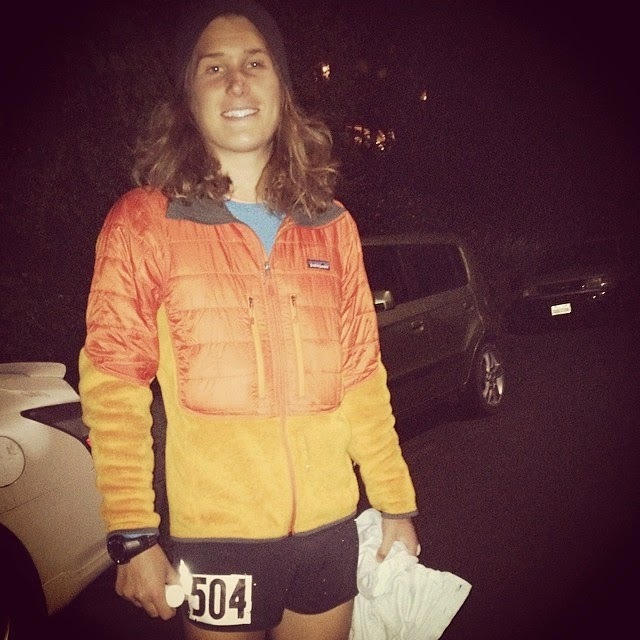 The atmosphere before the start of Miwok is one of my favorites: 400 excited runners packed into a small community center at 4:30am makes for exhilarating pre-race jitters. I had forgotten my socks and handheld in the car, but thankfully Mags got them for me. She even brought me 3 different pairs of socks to choose from...yes, she's that thoughtful! Around 4:40am everyone began milling about the starting line. Tia, the race director, counted us down from 20, and we were off! The course funnels straight onto singletrack, so I shot off with the top 15 runners. I settled into a reasonable pace with unfamiliar faces, and, slowly, we plodded away. I managed to run most of the first climb, resorting to power hiking only when the grade kicked up significantly. This would be the plan for the rest of the day. We eventually turned onto the Coastal Trail: a rutted, cambered, overgrown section of singletrack that was frustratingly difficult to find a rhythm on. I did my best to keep the speedy Mark Richtman in sight, and just in front of him I spotted Jonathan Gunderson. The three of us eventually came together and made our way along Bolinas Ridge. Jean Pommier caught us on the ridge and rocketed down the descent to Randall aid station (mile 12.9). I knew better than to try to hang with him this early on, so I took my time and enjoyed the canopied fireroad. Maggie had a fresh bottle of water mixed with Skratch waiting for me, and with that, I turned around and began the 6 mile climb back to Bolinas. Although still early in the race, my legs were feeling chipper with only a slight tightness in my right groin. It was most noticeable on the climbs, but after ~20 miles I never heard from it again. I was climbing stronger than expected but knew that I needed to keep my pace easyish in order to be fresh for the 9,000+ feet of climbing still ahead. Before long I returned to the Bolinas Ridge a/s for the second time, and after a quick bathroom break, I hurriedly jumped back on the trails. To my surprise, I had not been passed during my stop and had only given a marginal gap to the runner in front of me. Sweet! Retracing our steps to the third a/s at Cardiac required that we once again pick our way through the Coastal Trail. The views are truly outstanding, but, letting my mood get the best of me, I cussed out most of the pot holes beneath me. My legs finally started to cooperate heading into the Pan Toll Ranger Station (just before Cardiac), which is where I caught Mark. 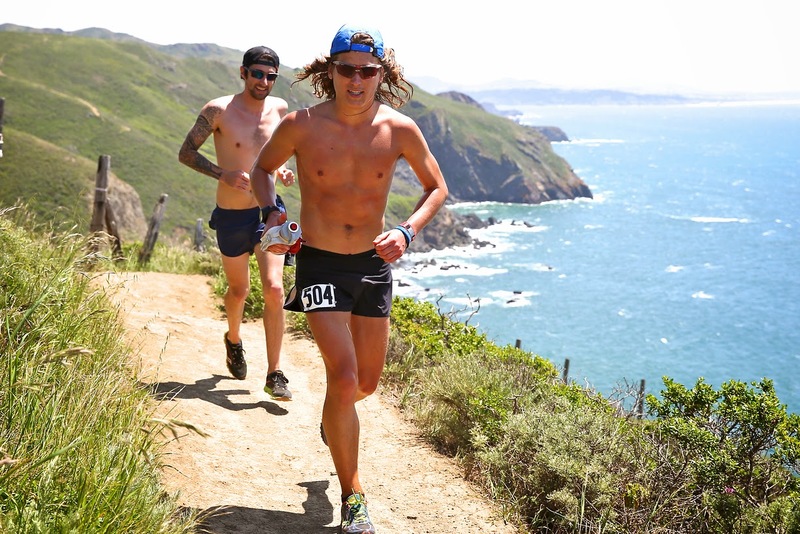 We ran together for most of the Deer Park descent, but he pulled away on the road just before Muir Beach. Shortly after, two other runners closed in on me, and eventual gapped me. I decided not to react, hoping that they would blow up on the next climb (one of the runners finished 5th overall, while the other took a wrong turn, costing him a top 10 finish). I coasted in to Muir Beach excited to see Maggie. The volunteers and spectators really get you fired up! My legs felt fresh, and I flew out of there ready for the climb that separated me from Tennessee Valley. That climb, as it turns out, was a grind and left me feeling less excited for what lay ahead. I crested the top and hooked right to descend a super fun section of Miwok. Again, Maggie was there, bottles in hand, making for an efficient and expeditious pitstop. From here, the race climbs Marincello and rewards you with jaw-dropping view of the city and surrounding terrain. I've done this climb before in races but have always had to walk a good portion of it, so it was exciting and reassuring to find myself running 2/3 of it! Regardless, I was caught by another runner, Kevin Rumon, just before hitting the top. This turned to my favor since the course wasn't clearly marked at the top, and Kevin just happens to be from the area. He assured me that we needed to stay to the left on the SCA trail, which would eventually dump us near Rodeo Beach. I hadn't known my placing until the Bridge View a/s (mile 41.3) where they told me I was 9th! I couldn't believe it. Initially, my goal had only been to finish strong and hopefully run under 10 hours. Now I was looking at a possible top 10 finish! This gave me the push that I needed as I descended Coastal fire road and climbed Rodeo Valley back to Tennessee. Serendipitously, I found myself running with Kevin at the Marincello/Rodeo intersection, where, again, he graciously guided me back to Tennessee Valley. I should have studied the course description better, but clearer course markings would have been appreciated. I pulled away from Kevin on Old Springs and cruised into Tennessee Valley (mile 48.6) where I picked up my trusted pacer, Anthony. He's run with me before at two other races (DRTE 100 and Firetrails 50), so I knew I could count on him to push me to the finish. After chugging some Coke and receiving some teasing from Stan (whom I had the pleasure to meet two weeks prior at Ruth Anderson 50) I was off! Kevin had caught me, and we kept a consistent pace towards Muir Beach, but I managed to pull away on the Pirates Cove climb. My legs still had some pop, and with another runner closing in, I pushed the rollers hard into Muir Beach. A few Cokes and some hummus wraps later, and we were hustling along the road to the final climb to Cardiac. This is where I pretty much hit a wall. It might have been the mental aspect of knowing that this climb was looming in the distance, or the fact that I was really tired. Either way, not bad for close to 55 miles in the legs! We power hiked most of the ~3 mile climb, where I was passed for the final time by Gregory Benson. He looked strong, and I knew I couldn't counter it, so I wished him luck and kept pushing. Finally, we arrived at Cardiac and were greeted by Jorge of San Fransisco Running Co. and Alex Varner, two studs in the ultra world. They gave Anthony and me a few words of encouragement which set off something in me that I've yet to experience in a race. By this point I was 58.4 miles in, but my legs felt alive. I hurried to the Dipsea trail and ran hard; harder than I thought possible. 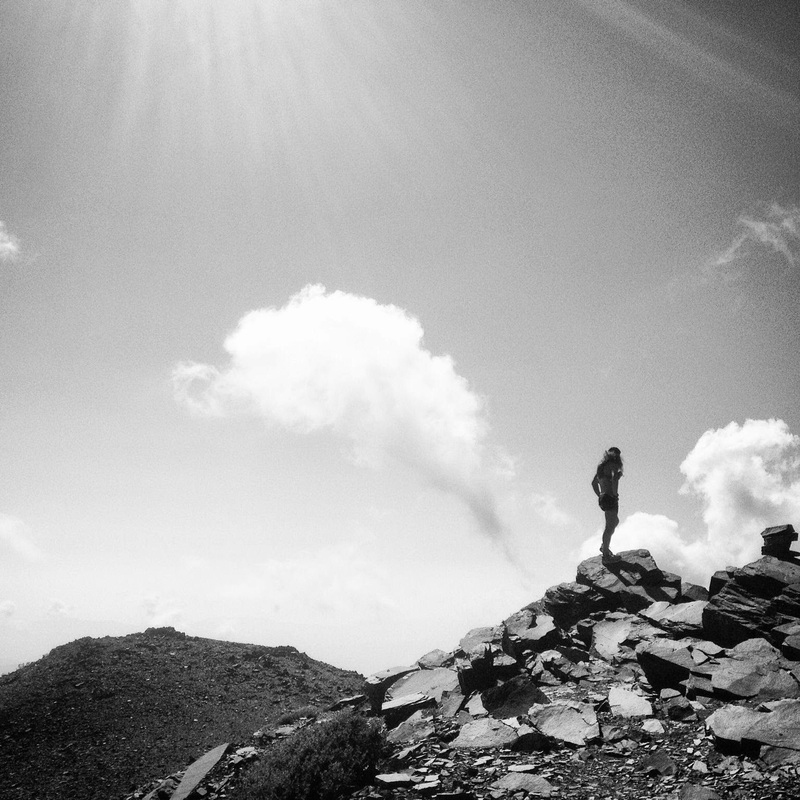 I knew that I was close and wanted to leave everything I had on the trails. (My GPS data showed that I had dipped under 6 min/mile pace for more than one of those last 2.8 miles. A huge feat for me this late in a race!) I rounded the last corner crossed the line in 10:06, good enough for 8th place overall and 3rd in my age group. I couldn't be happier with how everything played out. From the beginning, I stuck to my plan and ran my own race. 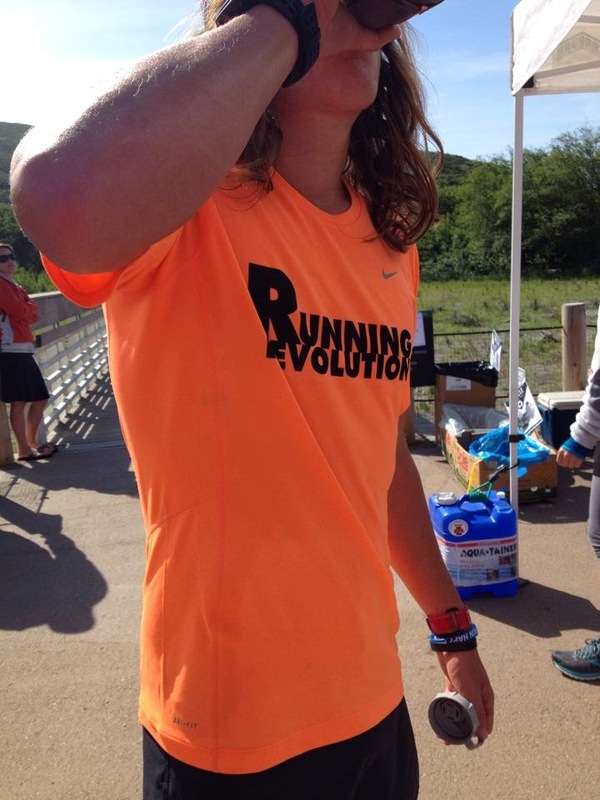 I nailed my nutrition and fluid intake and pulled off a top 10 finish at one of the most badass races in NorCal. 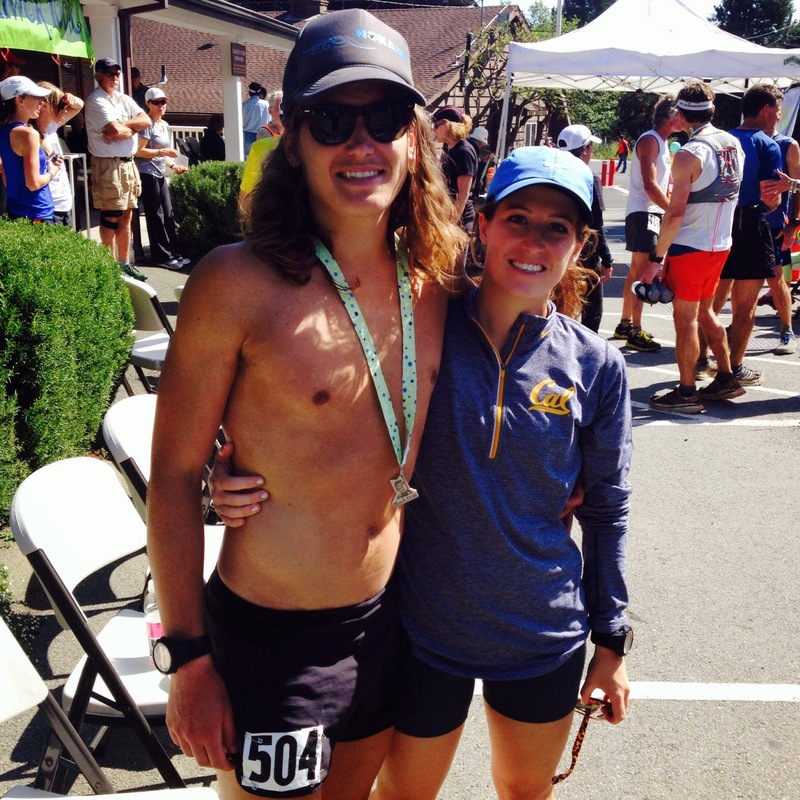 For me, this Miwok has proven that I've learned from my mistakes, and that I am beginning to grow in my running. Hopefully, these lessons will roll over to the Silver State 50 mile this weekend!